A North Yorkshire walk in the scenic Howardian Hills AONB from Low Hutton on the west bank of the River Derwent. 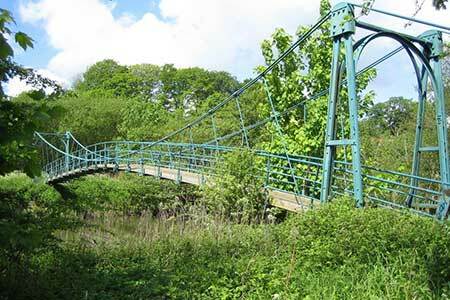 The route follows a substantial section of the Centenary Way through the villages of Thirby, Kirkham and Cranbeck and includes varied scenic interest throughout including woodland, open pastures and riverside views. A GPX File is available for download (see walk description).